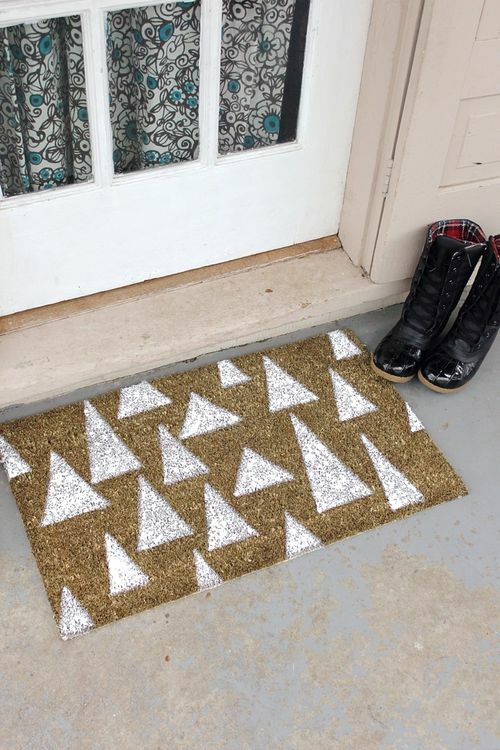 This holiday doormat is super easy and very welcoming. 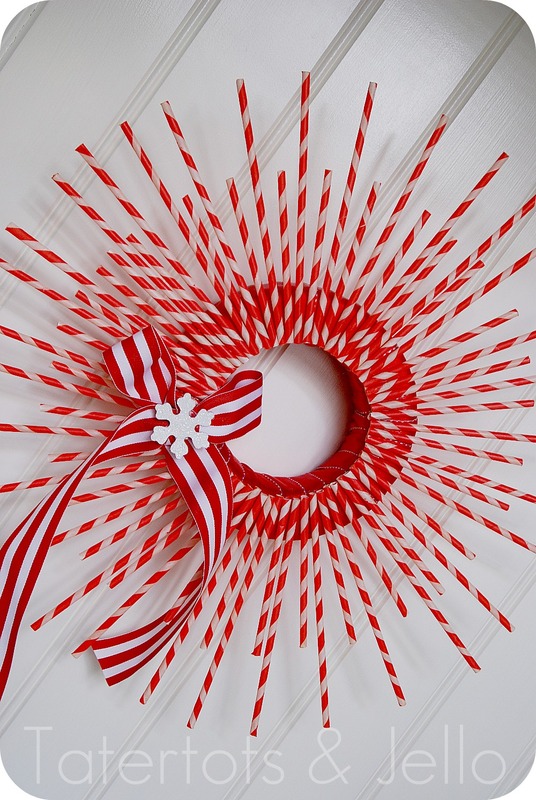 How cute is this straw wreath? Such a simple idea. 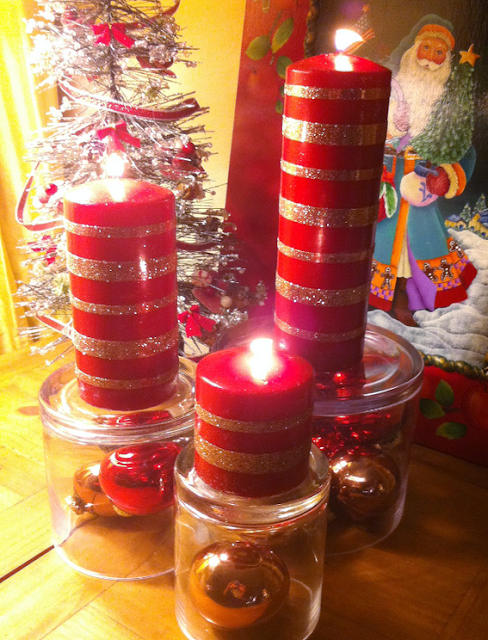 Add some warmth and coziness to any room with these sparkly candles. Make your wrapping stick out with these unique gift tags.